Do I need an appointment to talk to an advisor? I am taking all of my classes at a Regional Campus. Am I required to see an advisor at the main campus in Richmond? I'm taking online classes, is there an online advising option? When/how do I declare my major/concentration? I need help choosing a major/minor. Can someone help? When is the deadline for adding, dropping or withdrawing from a course? I will be attending on a part-time basis (fewer than 12 hours) in the fall: is academic advising mandatory? I’m having trouble in a course. Where should I go? What is the writing requirement? What is the General Education Requirement? I forgot my EKU ID number, can you give me that information? How do I change my major or minor advisor? I was trying to register for a class and I got a registration add error, what do I do? I need my email or blackboard account reset, where do I go? How do I get proof of enrollment for my insurance company? How do I get car insurance forms filled out for a Good Student Discount? I need a Letter of Good Standing or a Transient Student Approval form from EKU, how do I obtain this letter? I am a student with a disability. Can special accommodations be made for me? Will EKU help me find a coop position? Additional information may be available on the Advising Resources page on this website. An appointment is not required but is highly recommended. Walk-in appointments are handled on a first come first serve basis with appointments taking a higher precedence. At this time, all appointments must be made by calling the Advising and Academic Success Center at 859.622.7216. If you wish to speak with a specific advisor, please tell the person directing your call. Always have your Student ID#, a contact telephone number, and a brief description of your issue when you call. You may, however, choose to contact an academic advisor from our College's Advising Center to assist you. If you are only taking some courses online, you are still considered to be an on-campus student, and must contact the Advising Center at 859.622.7216 to schedule an appointment. 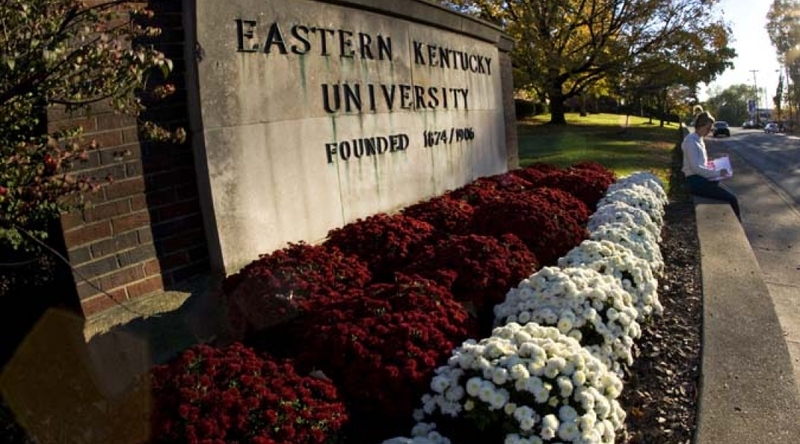 If you haven’t already declared a major, you may do so before you reach your 45th credit hour by visiting www.eku.edu and going into EKU Direct. You will log in, visit the Student Services and Financial Aid link, and then choose Registration. In the Registration section, you will find a link that will allow you to declare/change your major/minor. You may contact Career Services in the Student Success Building, and one of the professionals will assist you in taking a student inventory which will help to outline your interests, or you may contact one of our advisors for assistance. The information that you need to add/drop a course is listed on the Office of the Registrar’s page on the EKU website. The information that you need to add/drop a course is listed on the Office of the Registrar’s website on the EKU website. Academic Advising for the College of Justice & Safety is mandatory for all students. Special exceptions may be made on an individual basis. This depends on your desired major. You will examine the curriculum for your specific program and then make an appointment to discuss course selections with your academic advisor. It is always a good idea to speak with the instructor as soon as you recognize that you are having trouble in a course. They will direct you to resources, such as tutoring, to help you succeed. It is then up to you to follow through. If you are unable to meet with your instructor, our center can be a point of contact to help you find the help you may need. The Writing Requirement is a University requirement that is designated by a “W” attached to the course number. The purpose of this requirement is to ensure that you have succeeded in being able to critically, creatively, and effectively communicate through your writing (at a college level). General Education requirements are courses that will introduce students to information that will help them to become critical, independent thinkers who are informed about a variety of world topics. For specific information about General Education requirements, please visit your EKU Undergraduate Catalog. To retrieve your EKU student ID#, please visit the Office of the Registrar with the proper identification. If you wish to change your advisor, please set up a meeting with the Advising and Academic Success Center to discuss your options. Students should go to the Academic Computing lab, located on the 1st floor of SSB. Students may also call 622-3000. The National Student Clearinghouse is the official contracted agent by EKU to produce student enrollment verifications. Students obtain their official verification fast & free through their EKU Direct account, login now, enter ID and Pin, go to Student Services and Financial Aid/Student Records, scroll down and click National Student Clearinghouse). The Registrar's Office does not complete or sign individual forms to verify enrollment. However, if you utilize the National Student Clearinghouse and are faced with any challenges with printing the certification form, please know that you can go to the Registrar's Office in SSB 239 for assistance. There are also detailed instructions on the Registrar's web page at http://registrar.eku.edu/enrollment-degree-verifications. Student should go to EKU Direct/Student Services and Financial Aid/Student Records/ Printable Grade Report. The official grade report will provide the student's GPA and thus verify good student standing for the auto insurance company. This report contains all the required information. Students can secure this information by completing a request form in the Registrar's Office in SSB Rm. 239. On that form students may request that the information be mailed to an address of their choice or they may arrange to pick the letter up the next day after 1:00 p.m. Please be reminded that proof of identity is required (picture ID) in order to receive pick-up service. The request form can be printed from our forms website. 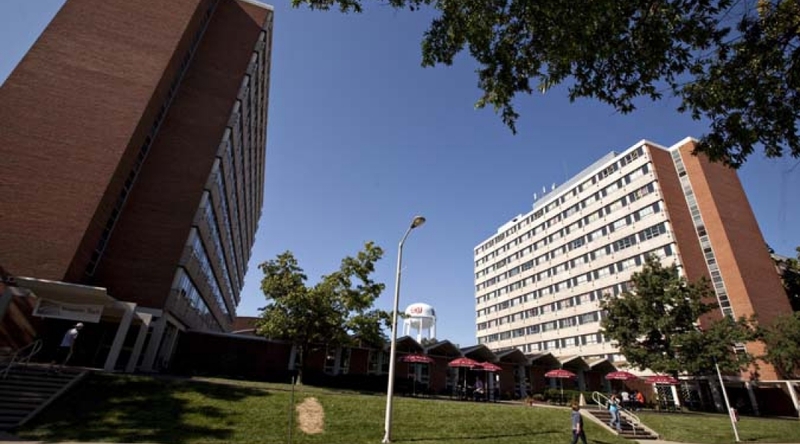 Information regarding the EKU Co-op and Internship Program is found at www.coop.eku.edu or by calling 859.622.1296.